An aerial view of the damaged Oroville Dam spillway is shown. Dams in the US are aging. In fact, the average age of of US dams is 56 years. There’s speculation President Donald Trump will discuss infrastructure in his State of the Union address on Tuesday. America’s infrastructure is desperately in need of investment, according to the American Society of Civil Engineers. The ASCE estimates the US needs to spend some $4.5 trillion by 2025 to fix the country’s roads, bridges, dams, and other infrastructure. Trump reportedly “hates” major parts of the infrastructure plan he unveiled in 2018, which proposed $200 billion in federal funding designed to finance new projects and repairs while incentivizing private investment. President Donald Trump is expected to discuss infrastructure in his State of the Union address on Tuesday, but how exactly he plans to do so is unclear. The Washington Post reports that White House press secretary Sarah Sanders told CNN on Tuesday that infrastructure could be an area of compromise for Democrats and Republicans, but according to The Wall Street Journal, Trump Administration officials pushed for the removal of a call for Congress to pass Trump’s infrastructure plan from an early draft of his State of the Union address. No matter what Trump says about infrastructure during his State of the Union address, one thing is clear: America’s infrastructure is in dire need of repairs. According to the American Society of Civil Engineers’ 2017 Infrastructure Report Card, which is published every four years, US infrastructure gets a D+ grade. It got the same grade in 2013. The ASCE estimates the US needs to spend some $4.5 trillion by 2025 to improve the state of the country’s roads, bridges, dams, airports, schools, and more. The report breaks down the state of infrastructure in 16 different categories. Here’s a look at each category’s final grade, according to the organization. Airports face a $42 billion funding gap between 2016 and 2025, according to the ASCE. Airports and air traffic control systems are in serious need of an update, the report found. With some two million people per day coming through US airports, congestion is becoming a major problem. In fact, the report estimates that 24 out of the top 30 airports in the US could soon hit “Thanksgiving-peak traffic volume” one day a week. Out of the 614,387 bridges in the US, more than 200,000 are more than 50 years old. The report estimates it would cost some $123 billion just to fix the bridges in the US. According to the report, there were some 15,500 high-hazard dams in the US in 2016. The pipes that carry America’s drinking water are in critical need of attention. According to the report, many of the one million pipes have been in use for almost 100 years. The aging system makes water breaks more prevalent, which means there are about two trillion gallons of treated water lost each year. Most power lines in the US were built in the 1950s and 1960s. Power interruptions could become more common if more attention isn’t given to the US energy system, according to the report. The majority of the transmission and distribution lines were built in the mid-20th century and have a life expectancy of about 50 years, meaning that they are already outdated. Between 2016 to 2025, there’s an investment gap of about $177 billion for infrastructure that supports electricity, like power plants and power lines. The report describes the US infrastructure for hazardous waste as “generally adequate,” however, it states that more than half of the US population lives within three miles of one of these waste sites. A barge travels down the Mississippi River. There are some 25,000 miles of inland waterways used for transport in the US. Inland waterways help transport goods to different parts of the country. But the infrastructure that supports these waterways, like dams and locks, are getting old and causing delays. In fact, about 50% of vessels using these waterways experience delays, according to the report. Levees play a critical role in protecting communities from flood waters, but they aren’t currently getting the attention they need. During the next 10 years, there’s a need for $80 billion to improve these structures, according to the report. National parks in the US are in need of billions of dollars for repairs. The infrastructure that supports local parks and national parks needs improvement. Roads, bridges, parking areas, trails, and campsites are just a few of the things that need repairs in our nation’s parks. The National Park Service even estimates that it reached $11.9 billion in deferred maintenance costs in 2015, according to the report. Most overseas trade comes through US ports. And while our ports have a higher grade than most other infrastructure categories, there’s still room for improvement. For example, as ships get bigger, ports will need to make deeper navigation channels. Also, as congestion in ports increases, the freight network that takes shipments to and from ports needs to be improved so that goods are transferred more efficiently with fewer delays. More than $25 billion is needed to repair and grow the railway system in the US. While freight railroads are in relatively good shape, passenger rail could use some upgrades, especially in the Northeast Corridor. According to the report, the average age of Amtrak’s backlogged projects in the Northeast Corridor is 111 years old. This includes bridges, tunnels, and a viaduct. Crumbling roads cost Americans about $160 billion in wasted fuel in 2014, according to the report. Roads in the US are in bad shape. About 32% of urban roads and 14% of rural roads are in poor condition. In fact, there’s a $836 billion backlog of unmet capital needed to fix the highways and bridges in the US, according to a report by the US Department of Transportation. Public schools don’t have the money they need to maintain their buildings. Schools in the US are not getting the funding they need to maintain public school buildings. About 24% of these buildings are in fair or poor condition, according to the report. Americans generated some 258 million tons of waste in 2014. While municipal solid waste systems are mostly in fair condition, the ASCE recommends increased promotion of developing better systems for recycling. According to the ASCE, only 51% of US households can travel to a grocery store in their area by using public transportation. Public transit is being used more and more, but it remains severely underfunded. According to the report, it would cost about $90 billion to fix the backlog of transit system projects and that cost is estimated to grow to $122 billion by 2032. The demand for more water treatment plants is expected to grow by 23% over the next 15 years. Currently, there are about 15,000 wastewater treatment plants in the US, but it’s estimated we will need 532 new systems by 2032, which means we need to be investing more in wastewater infrastructure now. 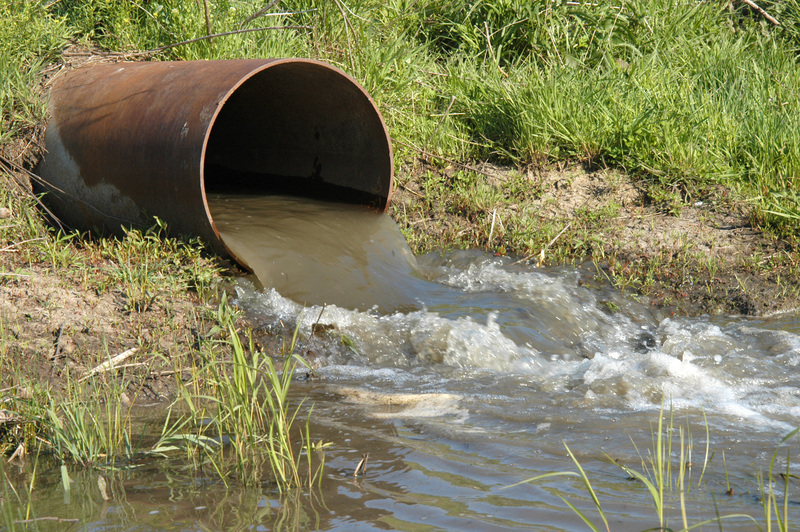 The US needs to invest about $271 billion in the US wastewater infrastructure over the next 25 years, according to the report.